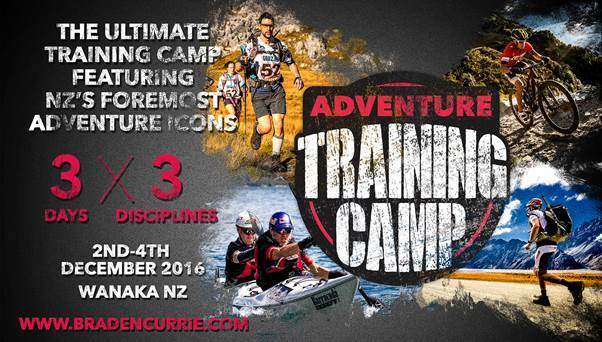 Top New Zealand multisport and on-road endurance athlete Braden Currie and adventure racing icon Bob McLachlan have pooled their considerable knowledge to offer the ultimate three-day Adventure Training Camp in Wanaka. Focusing on running, mountain biking and kayaking sessions around the stunning and challenging Southern Lakes terrain, the December 2 to 4 camp is designed to prepare athletes for New Zealand’s toughest off-road, multisport or adventure racing events, including Red Bull Defiance, Coast to Coast and the Godzone Adventure Race. Currie and McLachlan will run the three main sessions on the Friday, Saturday and Sunday, passing on tips gained from their years of experience racing around the world. The three days, based out of the stunning Lake Hawea View lodge, will cover race preparation, training principles, technique and skill development, mental game, nutrition and supplementation. There is a price excluding accommodation that caters for locals and also the option for athletes to attend single days of the camp.